The finalists for the 2017 Vermont Tech Jam Awards were just announced and Burlington Telecom was honored to spot nominations for our incredible marketing team! Both are formidable “behind the scenes” advocates for Burlington’s reputation as a Gigabit City and Innovation Hub. We are proud to have Tech Jam recognize their contributions to Vermont’s tech ecosystem and hope all our BT customers will cast a vote for them between now and midnight on October 18. 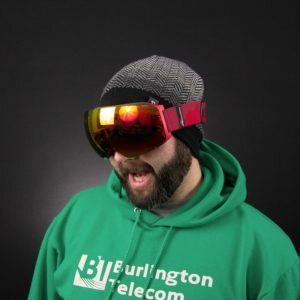 Sean is Burlington Telecom’s graphic designer, webmaster and social media strategist. He joined Team BT in July 2016 and in 14 short months has made a big impact. Sean lead the redesign of BT’s website and currently leads monthly social media Lunch & Learn sessions for all City of Burlington departments. He also donates design time to non-profits, including BTV Ignite and the Flyin’ Ryan Foundation Hawks Foundation. Sean is a finalist for the 2017 Tech Jam Newcomer Award. This award is given to an energetic and exciting new entrant into Vermont’s technology scene over the last 24 months. This award demonstrates Vermont’s “pull” as a technology hub and recognizes new talent that calls Vermont home. 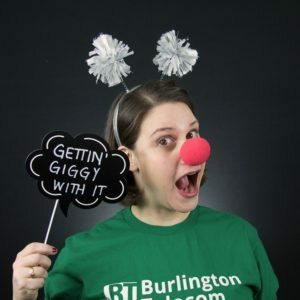 As Director of Marketing & PR for Burlington Telecom, Abbie’s role as a tech ambassador includes community outreach through her role as a BTV Ignite Executive Fellow and Innovation Week organizer. She also drove Burlington Telecom’s advocacy for net neutrality protection and online privacy, and worked to revive a partnership with ReSOURCE to subsidize computers to low-income families. Abbie is a finalist for the 2017 Tech Jam Ambassador Award which recognizes a business, organization or individual who leads the support, promotion and growth of Vermont’s tech economy and ecosystem. The purpose of this award is to celebrate and motivate collaboration, and recognize good actors across Vermont’s technology sector. We're fast, we’re friendly, we're here for you. Burlington Telecom is telecom provider that does things differently. We believe in treating our customers with the respect they deserve, while providing the best possible experience. Have a question or need help? Let us know 24/7.